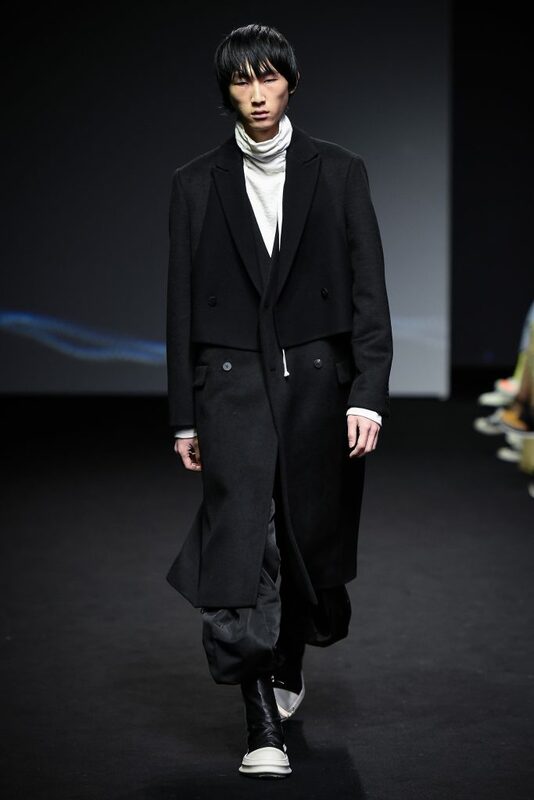 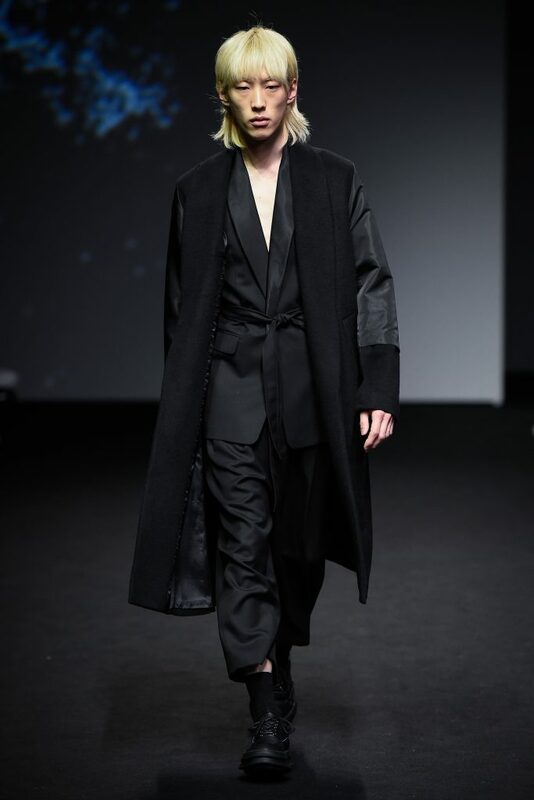 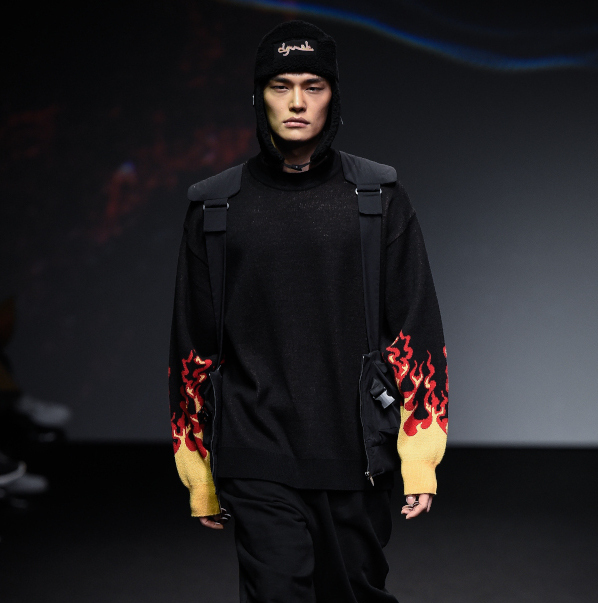 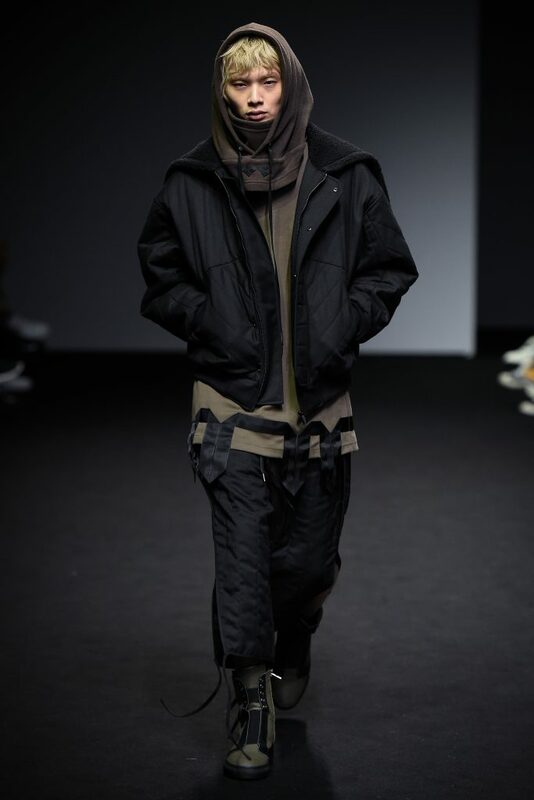 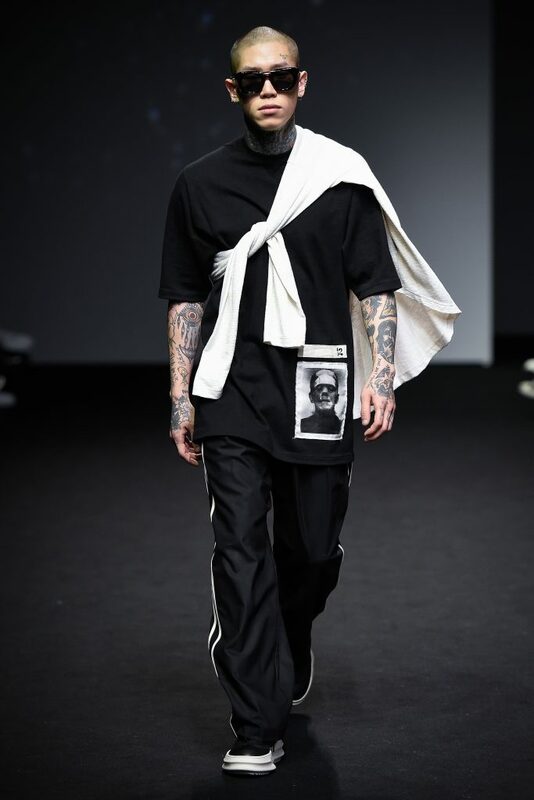 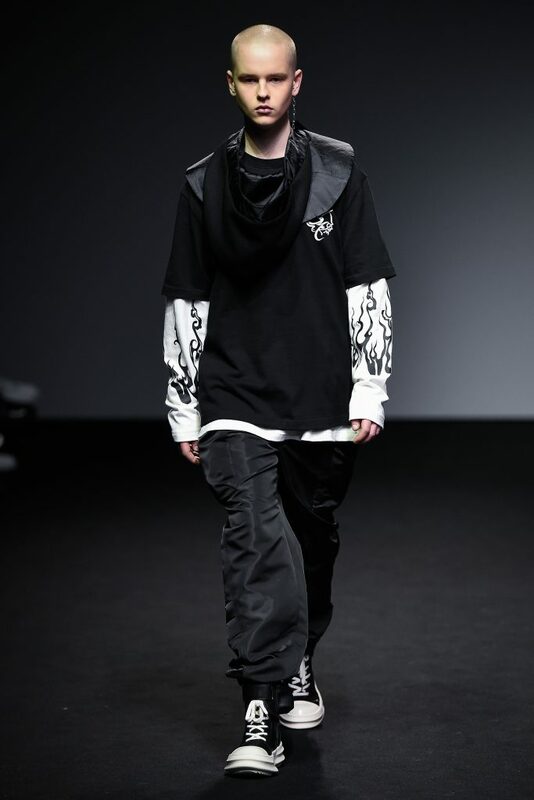 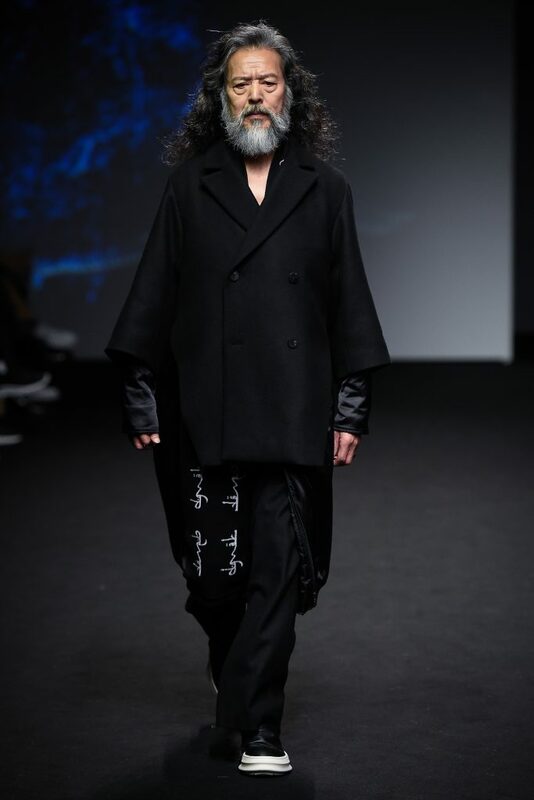 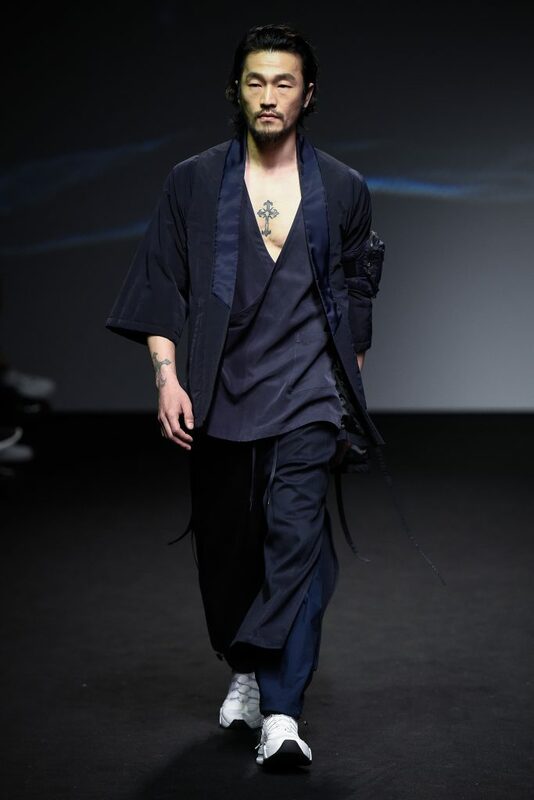 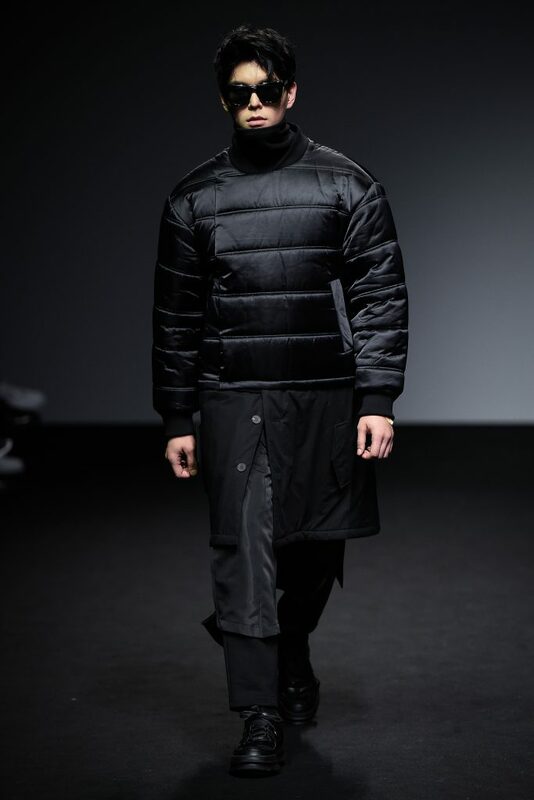 Avant-garde men’s streetwear label D.GNAK presented their AW19 collection at Seoul Fashion Week, after a 2 years break. 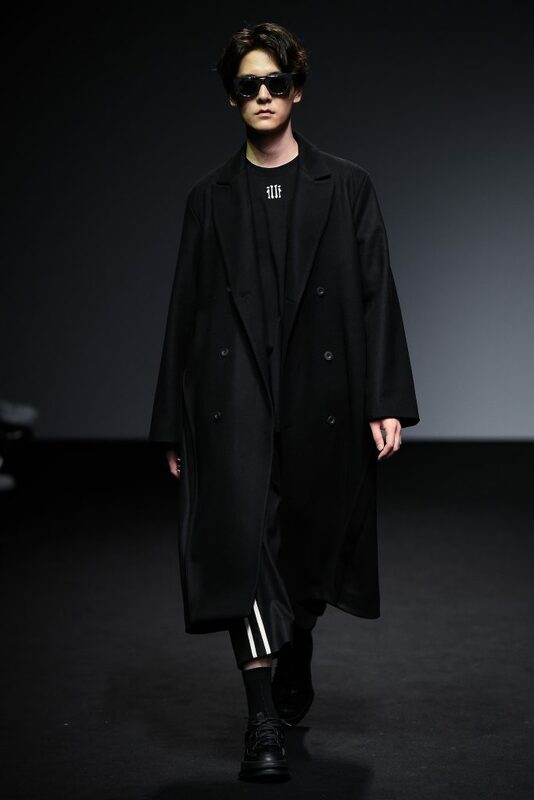 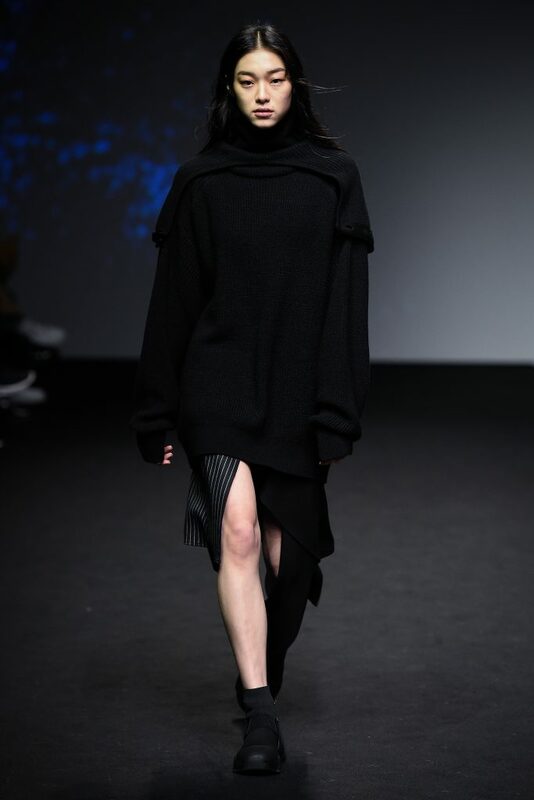 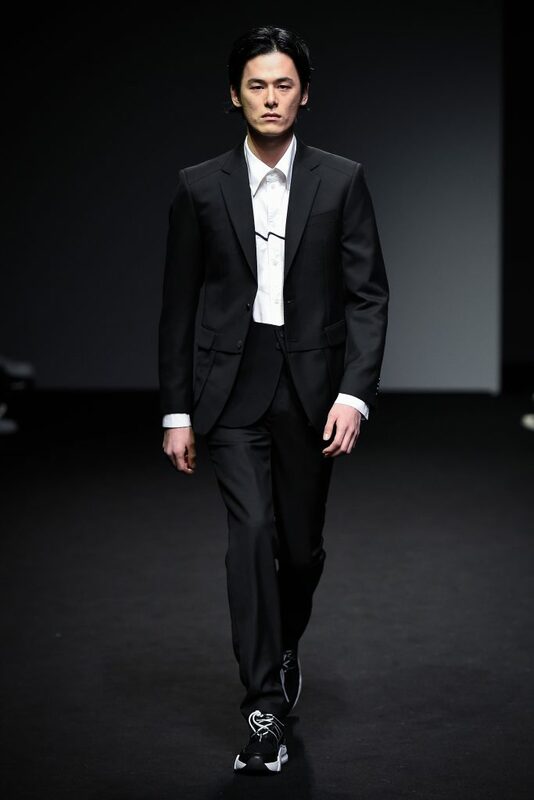 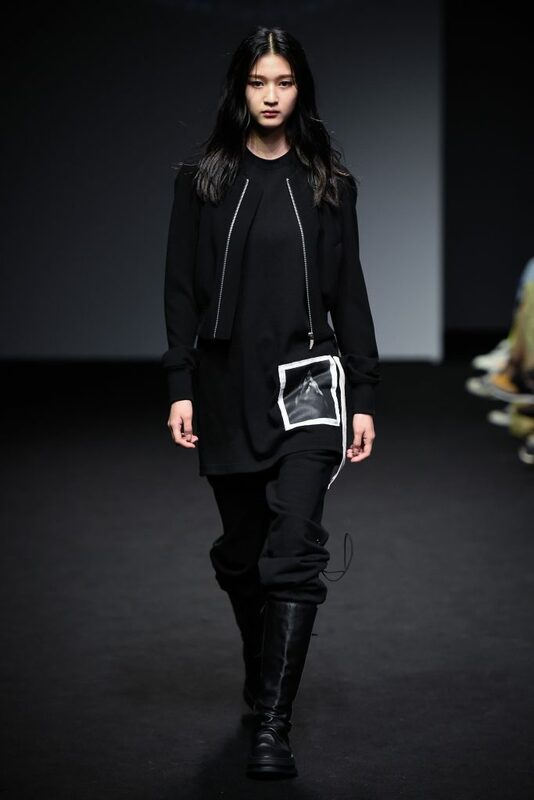 Seoul-born designer KANG DONG JUN is also returning to his signature all black silhouettes after presenting a black and white collection, A Spring Dream last season in London. 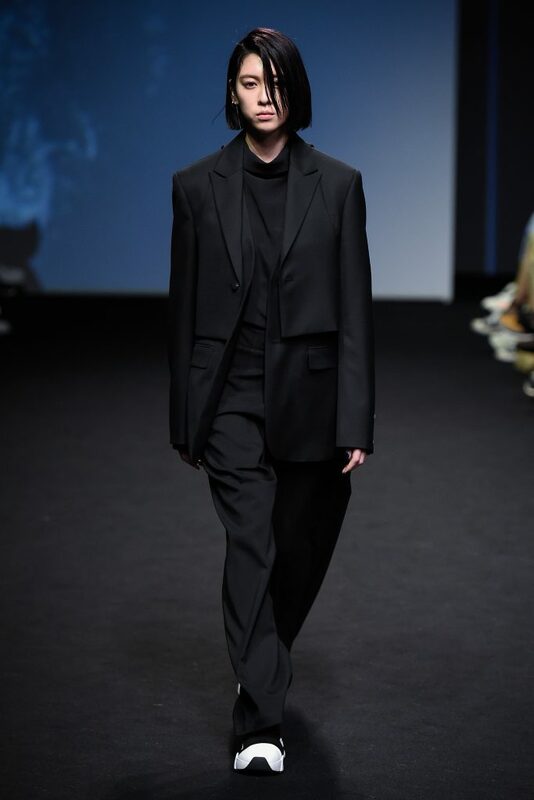 This season the designer stays true to his stand out designs mastering once again the balance between western tailoring and sportswear, and between traditional Korean menswear and streetwear, using unusual layering and a variety of fabrics. 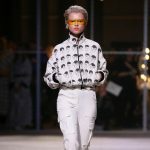  Bomber jackets appeared alongside longline kimono style blazers, sophisticated outwear, hoodies, utility trousers and oversized sweatshirts – some with a print such as flames-like detailing in red and yellow. 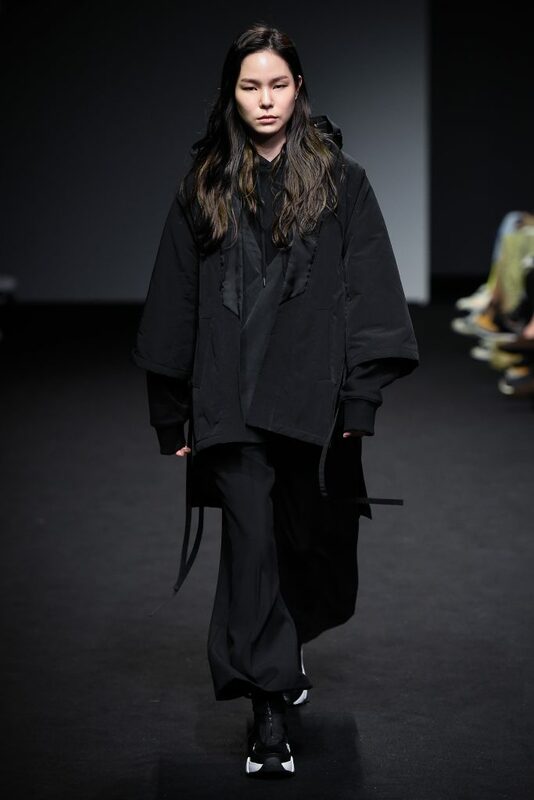 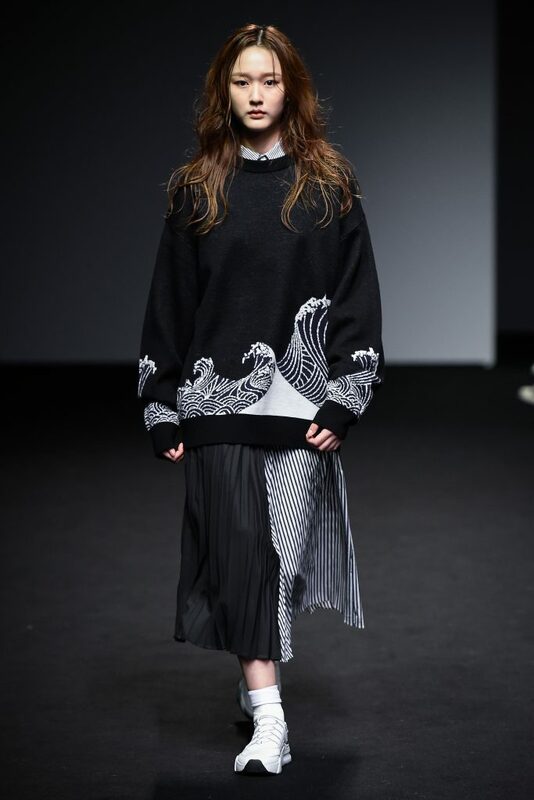 Designer KANG DONG JUN created a strong, unisex collection celebrating the coexistence of cultures. 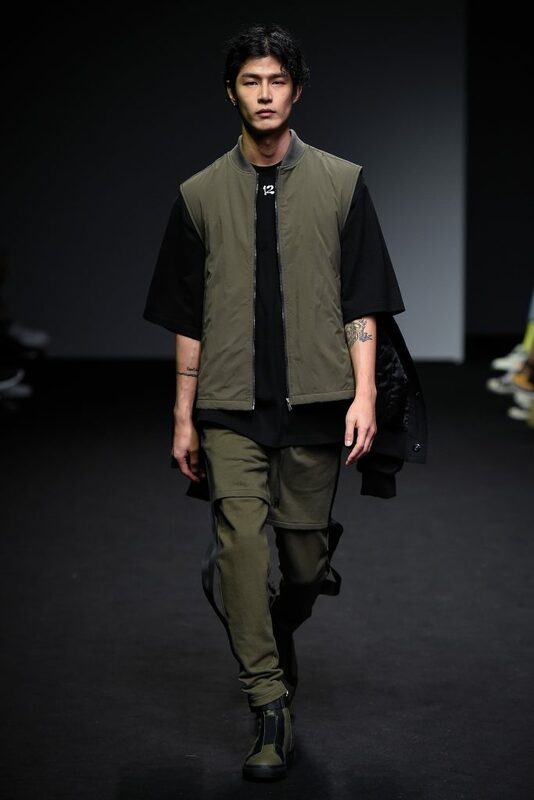 Presenting once again his unique, urban style – always with a twist and attention to details.